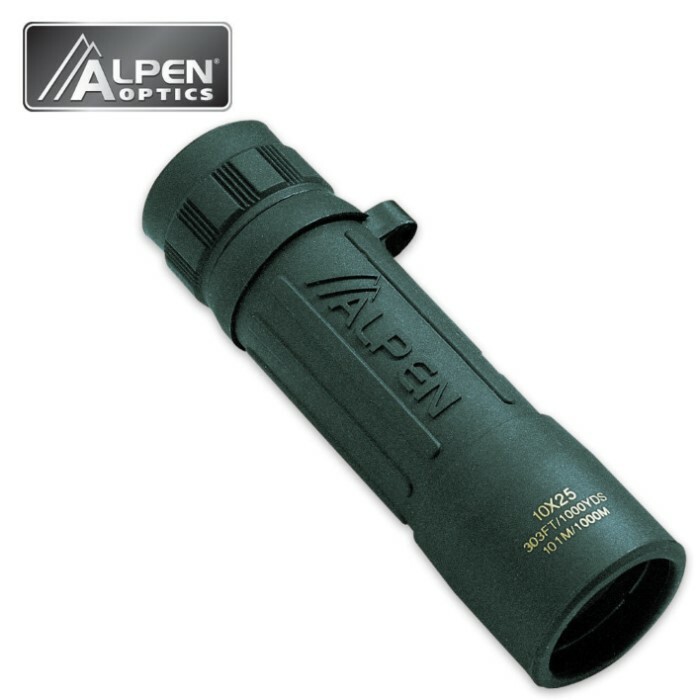 Alpen 117 Monocular 10x25 | BUDK.com - Knives & Swords At The Lowest Prices! 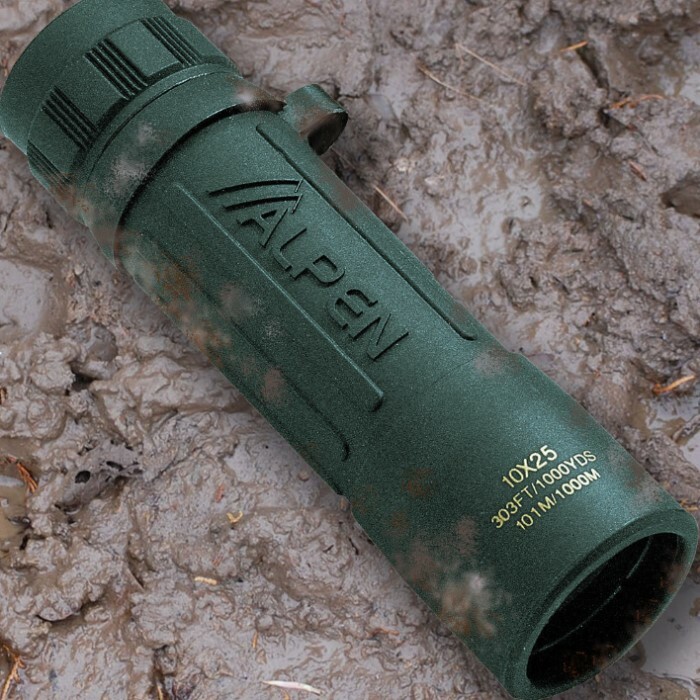 The Alpen 10 x 25 mm Green Rubber Covered Roof Prism Monocular is built to endure the toughest of conditions and to provide great viewing in a compact, lightweight size. It is constructed with smaller prisms and objective lenses to reduce weight, yet offer superb viewing. Includes nylon case. Just big enough to be useful and still be convenient to have on you. Replaces the binoculars that are too big to carry most of the time. I have two, one for me and one for the wife. She really likes hers for Birding. Quality appears to be good and I expect them to last a lifetime. Great little scope, the pouch is well made with a belt loop. It is smaller than I thought it would be, but it is easy to use and the clarity is very good similar to my nikon binos, it brings it in nice an clear. I am going to order another pair for work to look out my 10th story window at the birds and the bees this a good deal.